Who says true crime isn't the best beach-reading? Summer sunshine makes us feel warm and comforted and safe, in which case a crime book provides the same bracing jolt — that high-contrast frisson — as an ice-cold drink. And reading about crimes committed in faraway places deepens their summertime appeal even further: Whether you're actually on vacation or not, reading about an Irish art heist or Bolivian drug trafficking broadens your perspectives and makes you feel as if you've actually been somewhere. Crime and criminals are different elsewhere. Now's as good a time as any to find out how and why. The Irish Game, by Matthew Hart (Walker, 2004): Art heists are among the most high-profile crimes, conceived and carried out by only the most calculating, ambitious, and confident breed of criminals. And the risks involved are beyond ridiculous, as revealed in this look into art theft and art thieves, starting with an account of the 1974 theft of a Vermeer from an Irish estate. Hart's detailed descriptions of saviors, schemers, and amazing stakes are appealing, but only up to a point — at times the saga seems better suited to a long magazine article than a full-length book. Marching Powder, by Rusty Young and Thomas Mc Fadden (St. Martin's, 2004): Lured by a provocative entry in a travel guidebook, backpacking English-teacher Young took a guided tour of San Pedro prison in La Paz, Bolivia, where he met and befriended a charismatic inmate: Liverpudlian drug-smuggler McFadden. Based on Young's observations after wangling a pass to stay three months in La Paz with his new pal, this book is an inside story of a city within a city, where prisoners maintain a complex corrupt society, running businesses, living with their wives and children, and manufacturing cocaine. 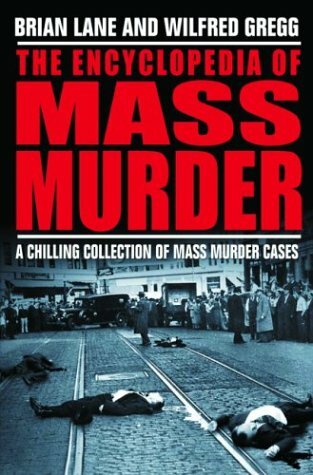 The Encyclopedia of Mass Murder, by Brian Lane and Wilfred Gregg (Carroll & Graf, 2004): Delivering exactly what its title promises, with no frills — unless you count a passel of photographs, including pictures of corpses — the authors provide capsule accounts of over 200 mostly famous cases from around the world. 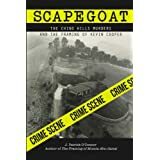 Familiar entries include Richard Speck and the Columbine High School massacre, but stories of bloody multi-victim crimes in Japan, India, and tiny English villages widen the true-crime horizon. Death's Acre, by Bill Bass and Jon Jefferson (Putnam, 2003): Patricia Cornwell, whose bestselling mystery novels have helped turn forensic detection into a trendy dinner-table topic, wrote the foreword to this study of a Tennessee hillside, dubbed the Body Farm, where corpses decompose under various conditions — in shallow graves, submerged in water, locked in car trunks — to help forensic-scientist Bass refine his techniques. Anecdotes recounting Bass's past cases make a nice mix with the serious chemistry, biology, and entomology. A Million Little Pieces, by James Frey (Anchor, 2004): After regaining consciousness in a major Midwestern drug-rehab facility, 26-year-old Frey began the grueling process of facing his past head-on. "I am an addict and a criminal," he reminds us repeatedly in this gutbustingly honest memoir which bares a fugitive's soul and is all the more devastating for its literary appeal. Wanted in three states for assault with a deadly weapon and various drug-related charges, Frey struggled to rebuild his body while deciding how to atone for his crimes. Actual crime statistics aside, some cities just stand out as the world's most crime ridden. It's a matter of ambience, history, and reputation. London is a top contender: Of all the world's metropolises, England's capital resounds with the echoes of countless famous cases both fictional and true: from Jack the Ripper to Jack Sipes — who killed poor Nancy in Dickens' Oliver Twist — and beyond. Perhaps it is the city's enormous size, its countless dark lanes. Perhaps it's the moody lure of the river. Perhaps it's the fog. Rivers and fog lend themselves to the hiding of corpses and to criminals' hasty escapes. In which case, what makes Los Angeles, of all places, London's American equivalent? The never-ending Southern California sun hides nothing, and the L.A. River is just a trickle, too shallow even to swallow a gun. Perhaps it's the heat. Perhaps it's a Wild West wildness. Perhaps it's Hollywood, thanks to the likes of Raymond Chandler and James Ellroy. In any case, the true-crime genre takes us back to the beaches and freeways of Tinsel Town again and again. Ready for the People: My Most Chilling Cases as a Prosecutor, by Marissa N. Batt (Arcade, 2003): During the 25 years she has spent trying cases "for the people" in Los Angeles's Criminal Courts Building, the warmly witty but always clear-eyed author has watched the justice system change considerably (during one trial early in her career, a male judge asked Batt to absent herself from the courtroom because he deemed her curly hair "too distracting") while in many ways staying the same. The cases recounted in this collection are uneven in terms of their intrinsic interest, but Batt redeems even the least interesting ones with her disarming personal honesty and knack for dead-on dialogue. Batt reproduces conversation, especially when it takes the form of African-American slang, with an unerring ear. Homicide Special, by Miles Corwin (Henry Holt, 2003): A typical journalism-school assignment is the "ride-along", in which students ride along with beat cops for a few hours to get an inside view of police work –mostly routine tedium punctuated by the occasional flash of adrenaline-inducing excitement. Corwin carries the "ride-along" to book length, documenting the months he spent accompanying an L.A. homicide squad through investigations of crimes, including the murder of a Russian prostitute and the mysterious deaths — murder or suicide? — of a mother and daughter found tied together under a boat in Los Angeles Harbor. The background information Corwin provides for each of the cops — a former grocery clerk, an ex-law student, a cousin of Willie Mays — is engaging, and true-crime fans will feel right at home in the settings he conjures. True Vampires, by Sondra London (Feral House, 2003): The author's prodigious research, culled from recent news reports from throughout the world press, does not make the stories she recounts any less intriguing or any less readable. America has no monopoly on real-world killers with a taste for human blood, as the author reveals in her meticulous coverage of dozens of international cannibals, including India's Arulraj Sabbah, Russia's Nikolai "Iron Teeth" Dzhumagayalev, Germany's Manuela and Daniel Ruda, and thirsty Paris mortician Nicolas Claux. More familiar homegrown vampires included here run the gamut from Rod Ferrell to Jeff Dahmer to Ottis Toole. London's clean, low-key style lends cool power to these grotesque tales. On the Trail of Bonnie and Clyde: Then and Now, edited by Winston G. Ramsey (After the Battle, 2003): Certain criminals, like certain athletes and actors, acquire keen legions of — well, fans, though not in the sense of being the criminals' admirers or imitators but in the word's original sense: They're fanatics, who for whatever reason can't get enough of that wrongdoer and his or her crime. Sometimes it's all about an evocative time and place; sometimes it's the perpetrator's irresistible charisma that creates an antihero. Certainly this has been the case with bank-robbers and lovers Clyde Barrow and Bonnie Parker, photos of whose bullet-riddled corpses are among hundreds of illustrations in this unique and comprehensive new coffee-table book compiled by a true fanatic. Ramsey's devotion to the case is all the more astounding, as he is based in Britain. FBI's Ten Most Wanted, by Dary Matera (Harper Torch, 2003): A book such as this one — telling "the chilling stories behind the FBI's historic list of notorious criminals," as its cover-blurb promises — is bound to be rendered out-of-date sooner or later. (But never soon enough, unfortunately.) 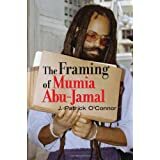 All-too-familiar criminals profiled here include cop-killer Eugene Webb, pedophiliac aerospace engineer Richard Goldberg, international terrorist Osama Bin Laden, and seven more. 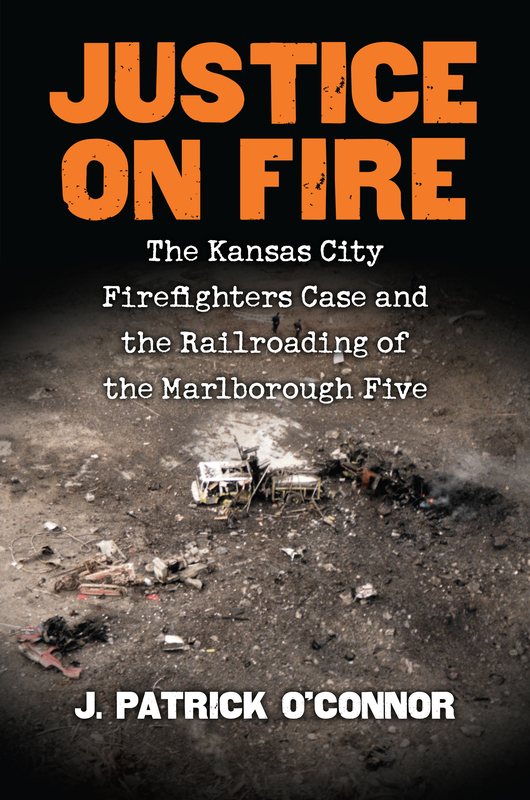 By the time the book hit the stores, two of those seven — Olympics bomber Eric Rudolph and drug king James Springette — had already been captured. Matera's discussions of rewards offered, and his inclusion of passages in the victims' own words, are to be commended, though these are faint glimmers amid otherwise none-too-skilful prose.